Since 2012, there have been many new arrivals in the meal kit delivery industry. 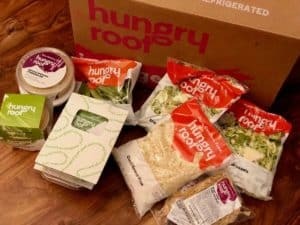 All Meal Kit delivery services are different, and all offer something unique. Some better cater to specific dietary requirements, some focus on organic produce and some cater to families or singletons. Today I am going to focus on the best meal kit delivery services for the vegetarian diet. I will examine the different meal kit companies with the most inspiring and practical solution for vegetarians. 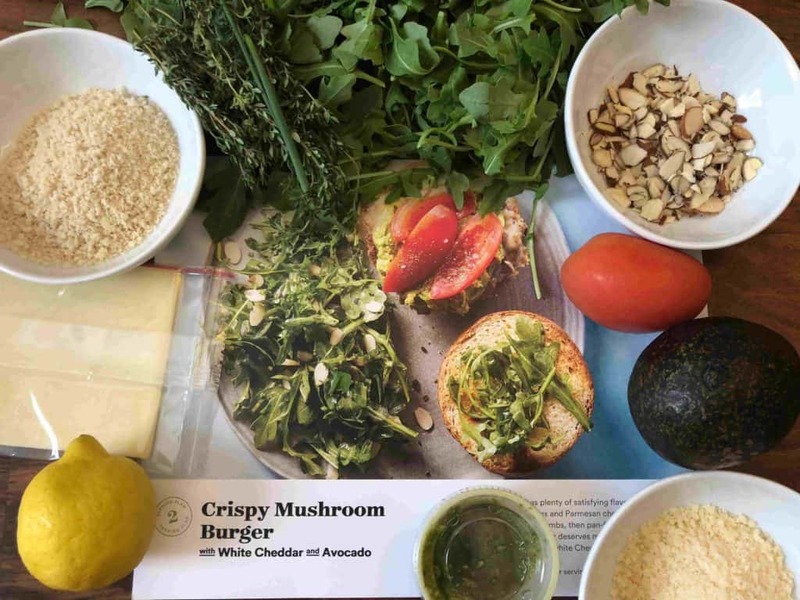 What a vegetarian would look for in a vegetarian meal kit? There are several kinds of vegetarian diets, but the most popular and the one I will be exploring for you today is the Lacto-Ovo vegetarian diet. This is a diet that is based on eating plant-based products, eggs and dairy products, such as milk, cheese and yogurt. This diet does not include any meat, poultry, seafood or fish. 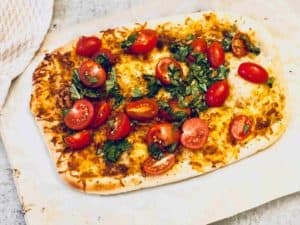 If you are a vegetarian, you might be justified in thinking that few meal kit services will be able to provide you with a menu that appeals. But it is good to know that there are several meal kit services that understand the needs of this increasingly popular diet and way of life. There are definitely some tempting and comprehensive options out there for you. Sun Basket specializes in making healthy cooking easy! They have all organic and sustainably sourced ingredients & delicious recipes that are delivered every week. 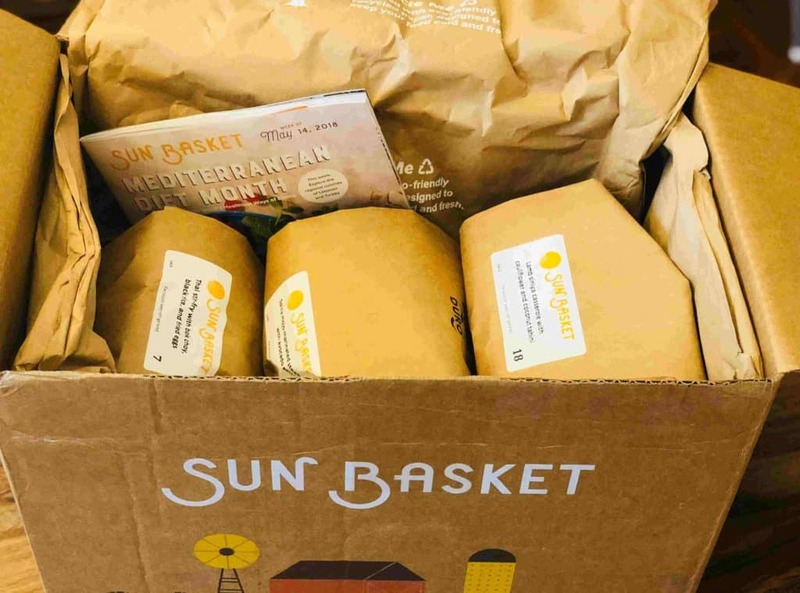 Sun Basket offers the Vegetarian Plan as part of their Classic or Family Plan, including 2-4 meals per week for 2 or 4 people. It includes some interesting and creative meatless recipes, with seasonal and all organic produce, plant-based proteins, and Sun Basket house-made signature sauces. 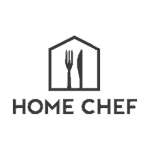 Home Chef is all about great classic home cooking, using farm fresh ingredients. When it comes to vegetarian food, they have upgraded their menu and now offer a great variety of delicious and innovative vegetarian meal options every week for you to enjoy! With the Plated menu, you will be sure to find amazing chef-designed meals to enhance your at-home vegetarian dining experience. Their menu offers at least four delicious vegetarian meals every week. If you eat seafood as part of your diet, then you will find an additional three meals to choose from. The company also has a delicious and unique option for two weekly changing desserts. Plated makes sure to categorize all their menu items, so you can easily find the meals marked as “vegetarian” or “seafood”. Among these, you will find dishes like pasta, interesting salads, risotto, Asian style meals and so much more! 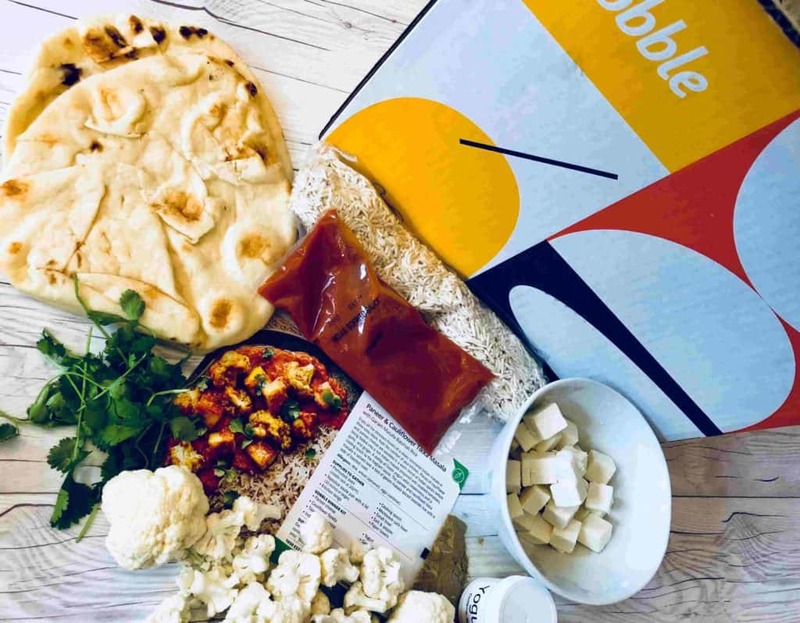 With Gobble you can order three or more delicious affordable, vegetarian evening meals every week! Gobble creates restaurant quality food that you can enjoy at home. With Gobble, convenience is a priority and all their meals can be ready in only 15 minutes!! As a vegetarian you will easily find delicious choices that suit your needs, as the Gobble weekly menu includes some great vegetarian meals like Salsa Verde Spinach Enchiladas or General Tso’s Cauliflower Stir-fry (read my full Gobble experience here). Gobble is a great meal kit service to use if you want life to be super easy as they provide delicious homemade dinners that can be ready in the shortest amount of time possible. No grocery shopping or ingredient preparation is required! 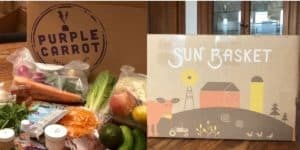 If you have limited spare time, then Gobble is the meal kit service for you! As you can see, there is a large variety of meal kit options available for vegetarians. I always think a good place to start is to try a few dishes from each company. That way, you will have a good understanding of the diversity of each company and which company ultimately suits your situation best. 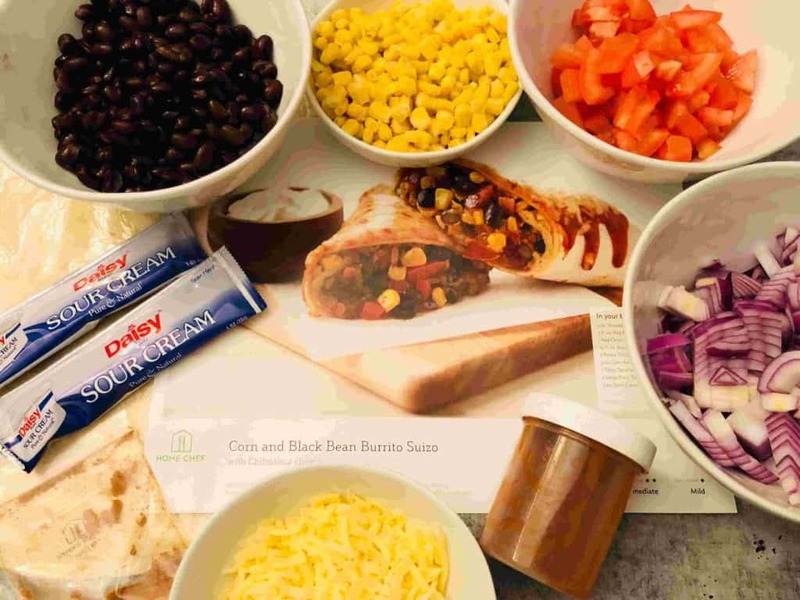 No matter which one you choose, these meal kits services might give you some inspiration for trying something different with your Vegetarian diet. They will also definitely help you to minimize the time you spend thinking about what to make for dinner and what you need to buy – so that’s a win-win for you!